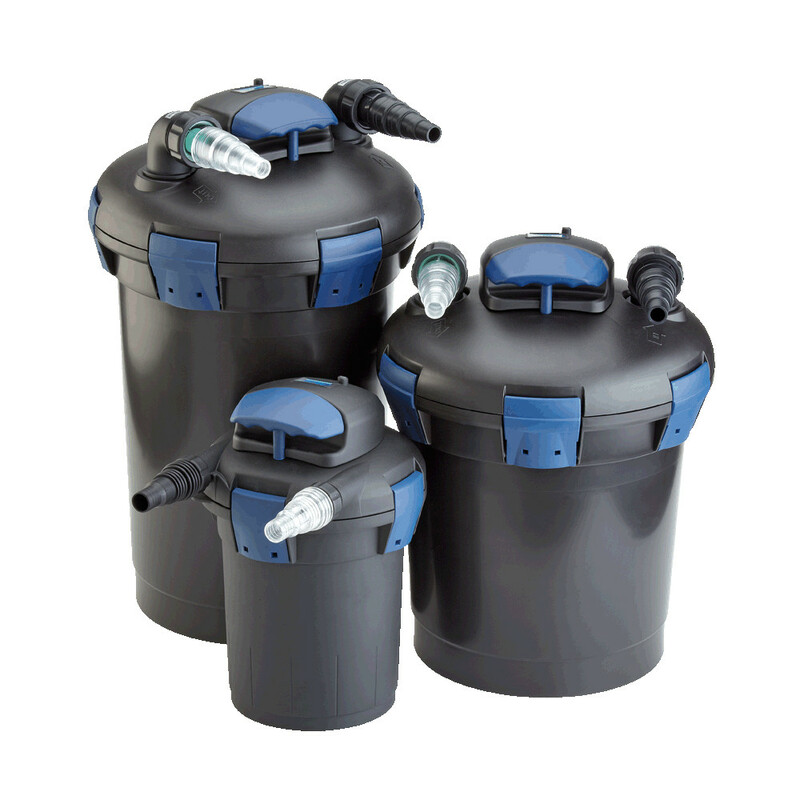 Oase are a world leading manufacturer of Premium Pond Equipment and their BioPress Filters are no exception. 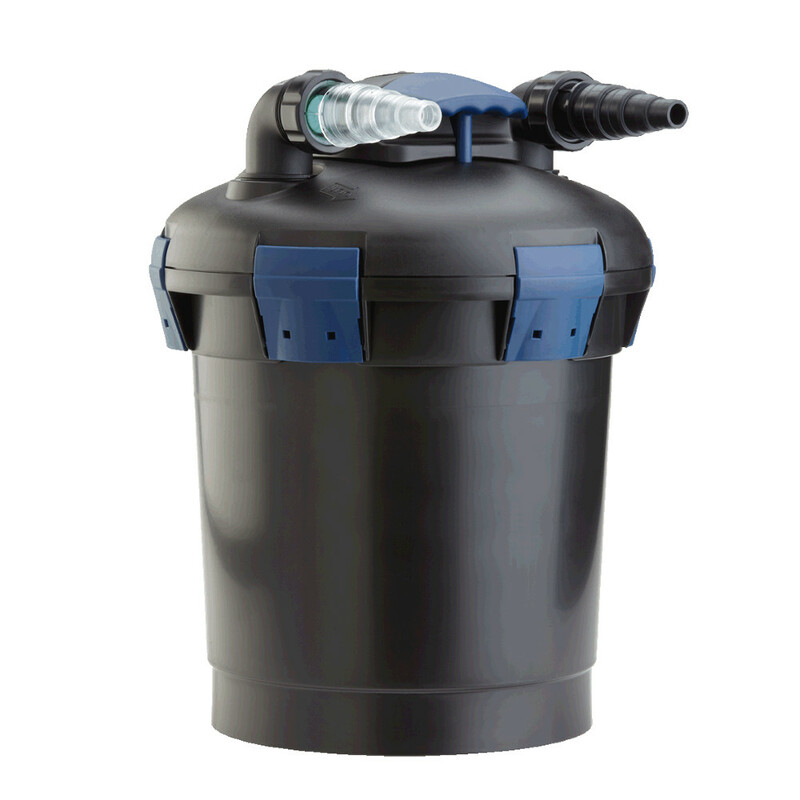 With the BioPress Filter you get clear water guaranteed through a carefully structured combination of pond filtration and intense UV technology. 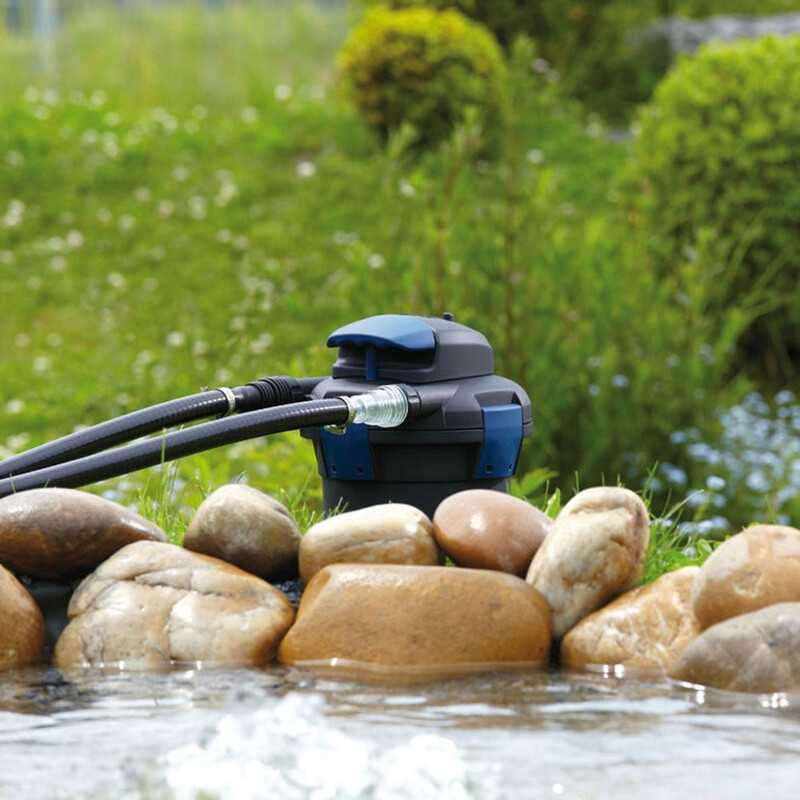 The Intergrated UV works alongside the biological and mechanical filtration media to clean and cleanse the pond water buy ensuring fast elimination of algae and the reduction of pathogens present as it is pumped through it, producing healthy and crystal clear water. 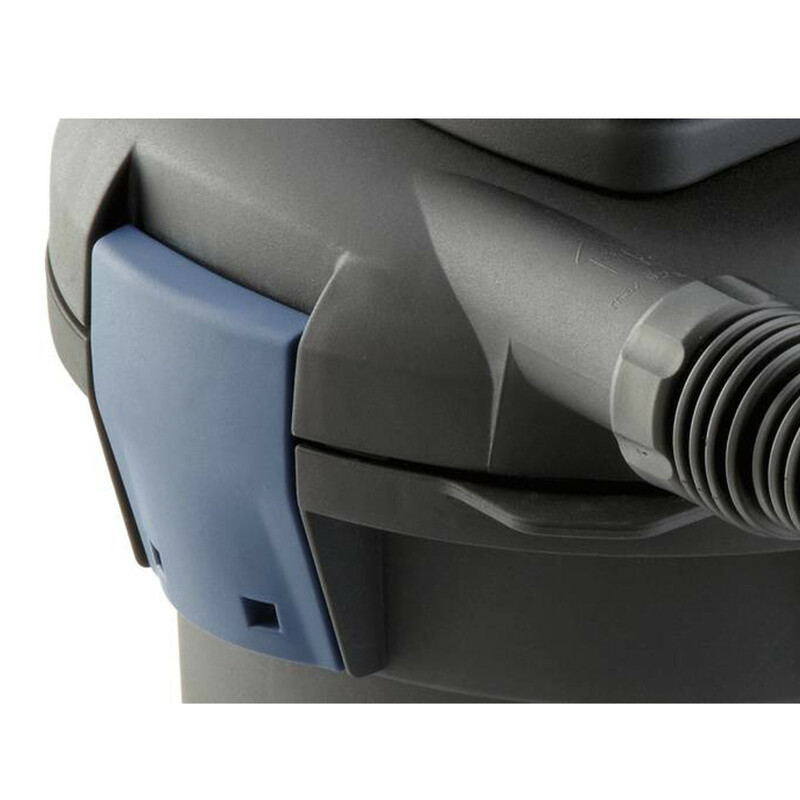 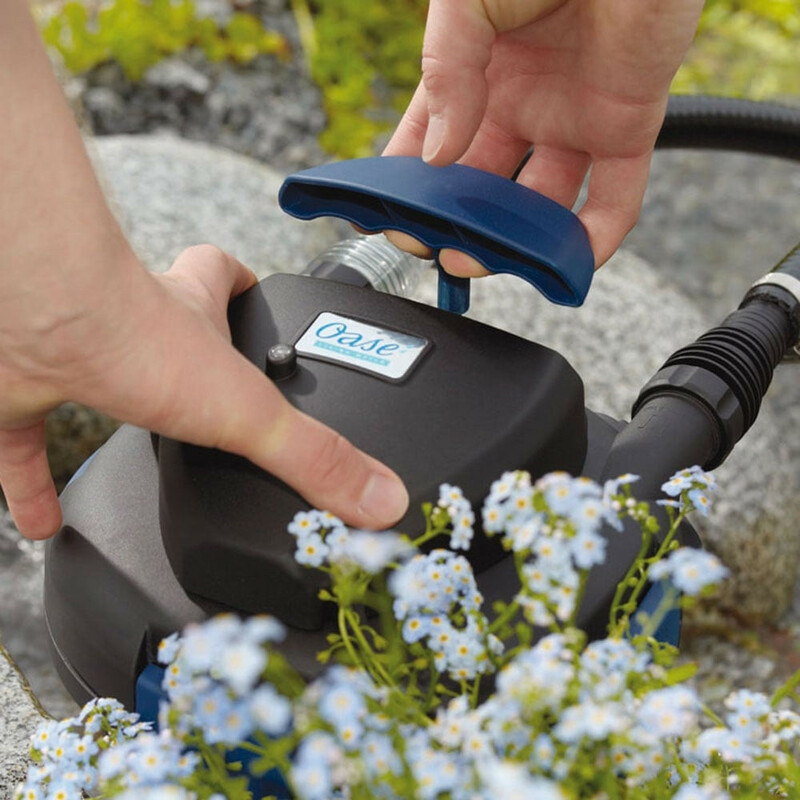 Not only is the BioPress an effective and reliable pond filter, but it is easy to use and install with an array of features to make pond keeping easier. 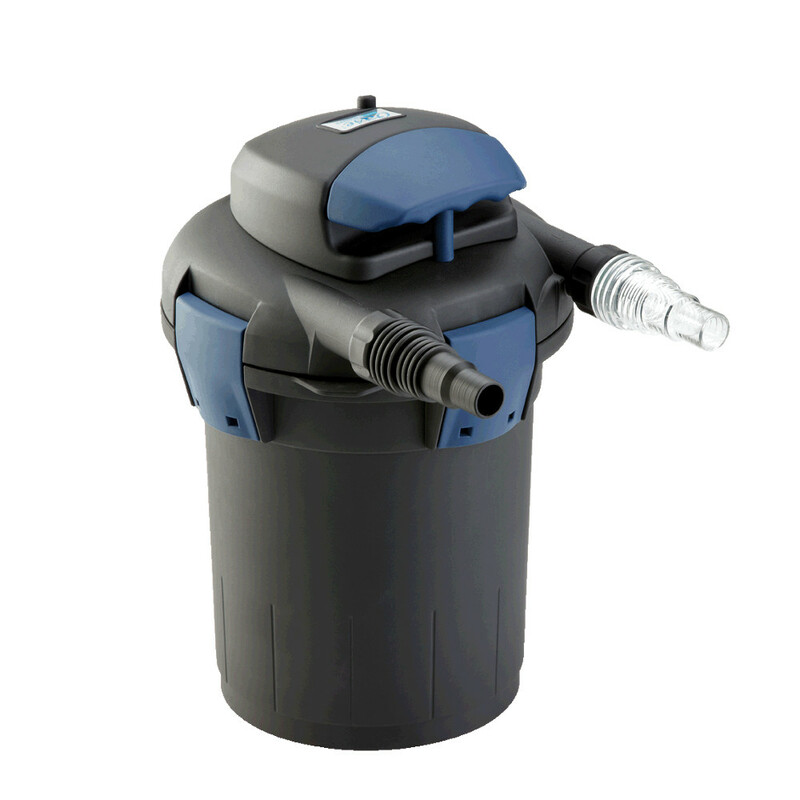 The filter has a convenient top located cleaning handle that allows for easier maintenance without the need to remove the foams. 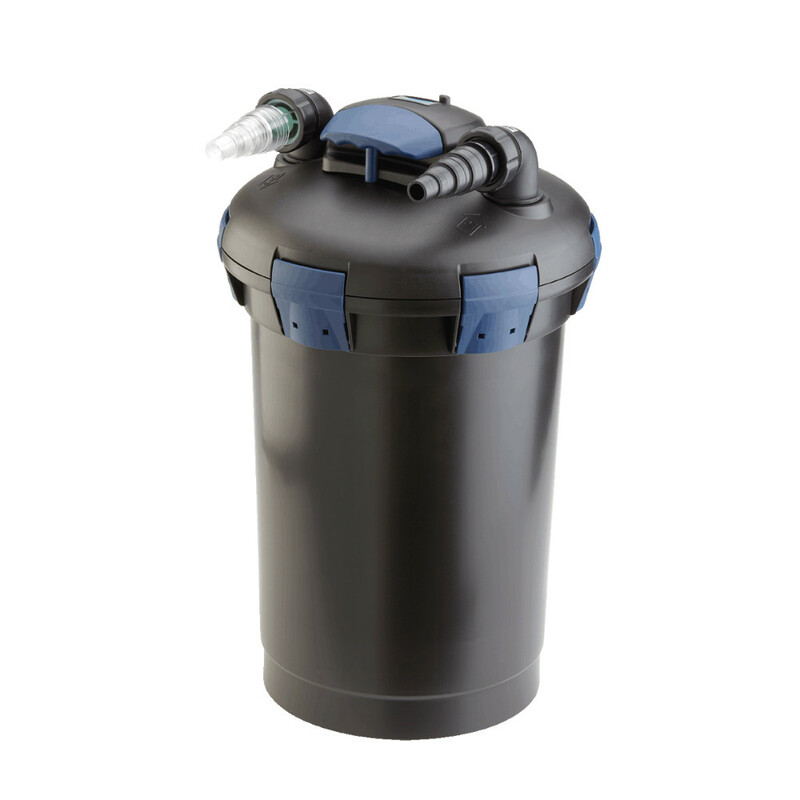 The filter has quick release clips on the bucket, providing an easy way to open and close your filter, eliminating the uses of tools. 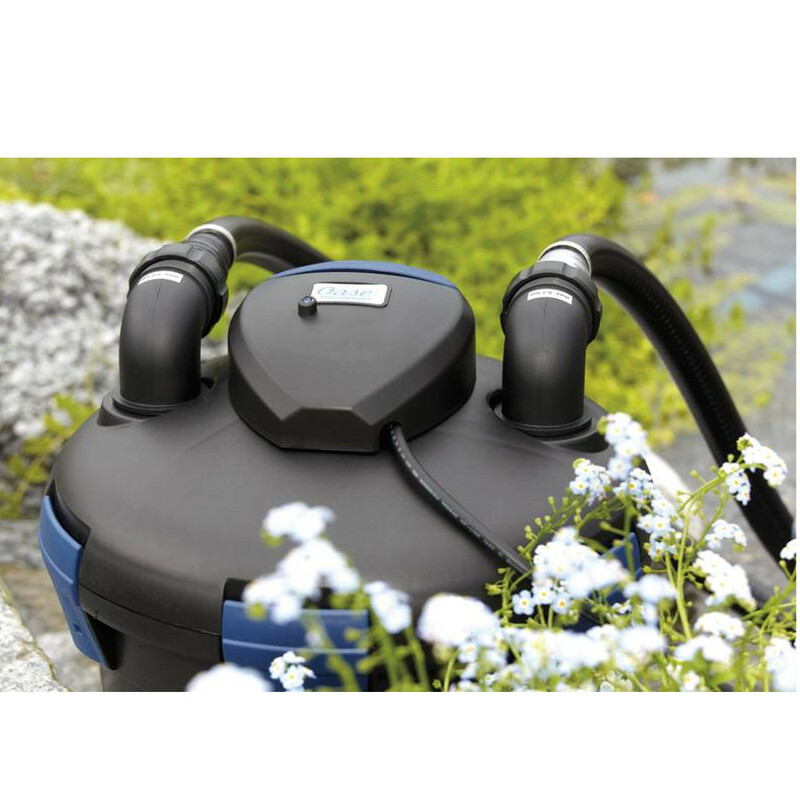 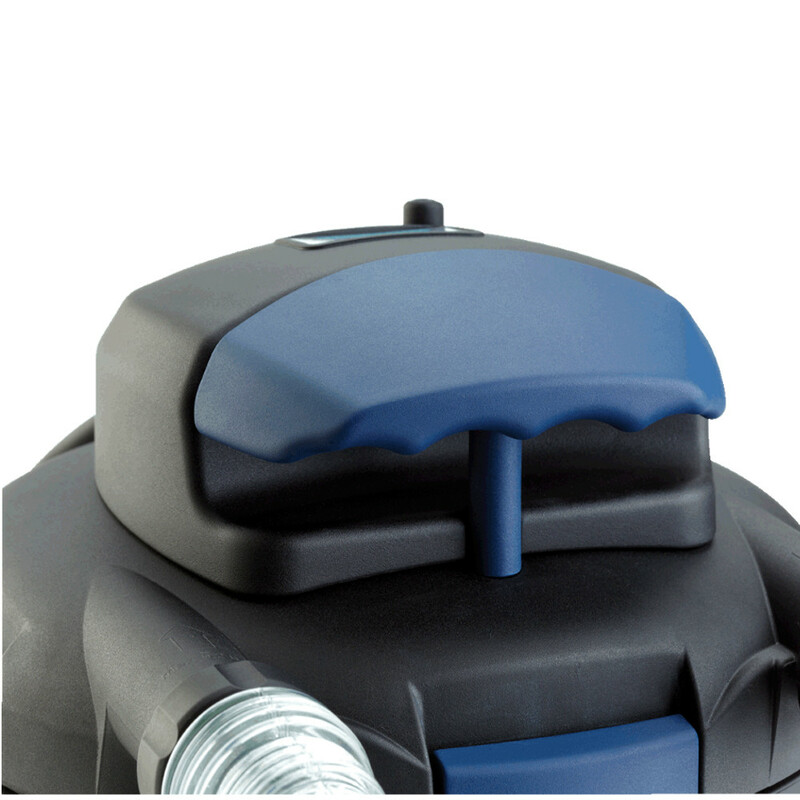 With its ability to be buried up to the lid, the filter can be easily intergrated into your garden system without ruining the calming effect of the pond.